Since the beginning of 1941, the High Command of the Wehrmacht (OKW) and the Reich Leader SS (Himmler) had given consideration to the handling of Soviet prisoners of war, which made it clear that it was an ideological war within the terms of a military operation (Weltanschauungskrieg) towards the Soviet Union. Although using at least a portion of the prisoners for work assignments from the beginning, had been considered, but the primary goal remained the extermination of the 'Bolshevik Enemy'. Political Officers, Communist Functionaries, Intellectuals and Jews, who were to be deprived of combatant status per se and ordered their immediate execution even in the operational area. A majority of the prisoners of war should never get near the vicinity of the Reich according to their original plans. A few weeks after the attack on the Soviet Union, due to the rapid advance of German troops there were already tens of thousands of poorly trained members of the Red Army in camps on the territory of the German Reich and had even sometimes sent to individual work assignments. [We had on our estate about forty Russian prisoners working in various functions and had been the most reliable workers after their physical conditions had improved, there were never any indication from the population, that they were enemies of the Reich,HKS]. The principle of isolation, selection and systematic extermination of the Ideological Enemy threatened to fail in practice. With the instruction (Einsatzbefehle)of commands 8, 9, 17 and 21 July, and complementary policies dated the 27th August 1941 ordered by the Chief of the RSHA, Reinhard Heydrich, that all Gestapo sections to check areas under its jurisdiction in "Russian camps" (Russenlager) for "intolerable" prisoners and send them to the nearest concentration camp for instant execution. The first execution of Soviet prisoners of war took place on September 3rd 1941 in Flossenburg. This was a contingent of 41 members of a labour unit from the Grafenwöhr Training Area, who had been selected on 25th August by a Gestapo (Einsatzgruppe) Task Force from Regensburg. After spending a brief time on the 3rd September in Flossenburg they were murdered there on the same day. [The Stapostelle Regensburg was responsible for the administrative district of Upper Palatinate/Lower Bavaria with the Stalag XIII-A Sulzbach-Rosenberg and XIII-B Weiden. The exudate's by Stapo Regensburg compare ibid, page 123-138. sic] Between August 25 and 26 September 1941 the Regensburg Upper Palatinate (Oberpfalz) examined a total of 2344 members of the Red Army, of whom 330 men, between the 3rd September and December 17th they were liquidated in Flossenburg for being classified as'intolerable' and found undesirable. Some of these have now been identified through personal records, including Franz Yankovsky, Kazimir Petrutik and Denis Misjutschenko, farm workers from Belarus, the first two common soldiers, the last obviously a civilian. They arrived in July, shortly after their capture,held in Stalag IV-B Mülberg in Saxony, registered there in mid-August and then moved to Weiden. On 29 August, the Regensburg Gestapo members reviewed the work detail at the post office basement in Weiden and handed the three with another 14 Red Army soldiers to the camp at Flossenburg, where they were shot on the same day. Dugouts, which served as living quarters for prisoners in Stalag 319—a German-built camp for Soviet prisoners of war. Chelm, Poland, between 1941 and 1944. Parallel to the beginning of the systematic murder of Soviet prisoners of war, Himmler tried the High Command of the Wehrmacht to get a number of several thousand Soviet prisoners of war to work in the concentration camps. Since the mass executions of Soviet POW's and the transfer of the 'working Russians' took place at the same time, both events has to be interpreted in the context of parallel measures, namely: 'liquidation' and 'work'. On October 2nd, the OKW ordered the release of a total of 25,000 Red Army soldiers as labour requirements to the SS. In all concentration camps separate accommodation areas had been set up for the 'working Russians'. The Flossenburger camp commander Künstler in mid-September 1941, offered to take 5,000 prisoners of war, their accommodation should be provided in a most 'primitive form'. On October 15th Flossenburg finally received 2000 Soviet soldiers from the prisoner of war camp Mühlberg in Saxony. These men formally retained their status as prisoners of war and were kept separately in the registry of the concentration camp. The building expansion of the camp, however, did not yet provide for the inclusion of these ' working Russians' and so the huts 11,12 and 13 were cleared and fenced as a stopgap. In the remaining ten barracks at the same time 3,300 other prisoners were housed. Many of the 'working Russians' that reached Flossenburg were so exhausted and ill that they were not able to work. Of the 2,000 consigned young men only 1597 still lived by the 15th April 1942, and of these 1150 were considered to a limited degree "operational". The work assignments targeted for these Russians was even by the standards of the SS themselves as unthinkable. It was not until April that only 500 were employed in the quarries of DESt. In July 1942, the surviving 'working Russians' moved into an area now completed as the "prisoner of war camp "which consisted of four horse stables and the vacated barracks 11,12 and 13 filled with newly arriving prisoners. The fate of the 'working Russians' is so far unclear. Proven is that 650 of them, together with other 170 prisoners were transferred to the Mauthausen concentration camp on September 9th 1942. The vacant accommodations which was termed as a special area as a POW camp was dissolved and converted into a quarantine section. Soviet prisoners of war receiving their meager rations. More than three million Soviet prisoners of war died in German custody, mostly from malnutrition and exposure. Rovno, Poland, 1941. At Flossenburg, camp conditions deteriorated during the winter 1941/42, the physical appearance of some inmates down to skeletons was obvious. This was due to the chronic malnutrition and the constant abuse of prisoners. Although the importance of prison labour in the concentration camps as requested by the ideas of Himmler and Pohl, to their minds increased steadily, but living conditions changed very little. As of December 16, 1941 to January 15th 1942, 125 inmates, including 63 Soviet prisoners of war died, the following month, the death toll increased to 168, of which 51 were 'working Russians'. Of the nearly 3,200 inmates in December 1941 to March 1942, 500 of them were consistently, or only partially operational in any month. From an effectiveness of inmate labour, in a labour economics sense, this was poor, there could be no question about that. It was not an economical enterprise. In addition, the work often stopped entirely in the winter months. As the security situation in the quarry was extremely limited due to fog and snow, the commander Künstler partially or not at all turned out the prisoners for only a few hours because of the increased risk of escapes. In November 1941 it was only 18 days of the month that any work was performed, In January 1942, only 17 days. Although the physical condition of most prisoners stabilized in April due to the onset of spring slightly, still there remained a constant number of approximately 400 inmates that were only partially fit for work. Among them were many elderly and disabled people, who had become from the perspective of the SS an 'unnecessary burden'. Since April 1941, the Medical Commission Action 'T4' dealt with the elimination of mental disabilities in the concentration camps and selected prisoners that were no longer capable of working and had them killed in the '(Euthanasia) Institutions' Bernburg, Sonnenstein or Hartheim. The SS internal file dubbed the first scheduled mass murder of concentration camp inmates with the short ambiguous abbreviation 'Aktion 14f13'. Erwin Hermann Lambert was a perpetrator of the Holocaust. In profession, he was a master mason, building trades foreman, Nazi Party member and member of the Schutzstaffel with the rank of SS-Unterscharführer (corporal). He supervised construction of the gas chambers for the Action T4 euthanasia program at Hartheim, Sonnenstein, Bernburg and Hadamar, and then at Sobibor and Treblinka extermination camps during Operation Reinhard. He specialized in building larger gas chambers that killed more people than previous efforts in the extermination program. Lambert's primary task was to direct construction work at the T4 killing centres, particularly the construction of gas chambers and crematoria. In testimony Lambert claimed that he merely erected room dividers and installed doors, a claim largely discredited. Since Brandenburg and Grafeneck had already been completed before Lambert joined the T4 program, he worked at Hartheim, Sonnenstein, Bernburg, and Hadamar as the program's "expert for the construction of gas chambers". After T4's termination, Lambert was posted to Operation Reinhard in Lublin for the purpose of bricklaying assignments which constructed the gas chambers in Sobibor and Treblinka extermination camps. At Lublin Lambert joined the SS. During this time, however, his work was often interrupted for further construction jobs in Germany and Austria involving the still-ongoing Action 14f13. With the help of Ukrainian volunteers and condemned Jewish prisoners, Lambert rapidly constructed solid gassing facilities at Sobibor and Treblinka. In addition, Lambert directed construction at several nearby forced labour camps such as Dohorucza and the Poniatowa concentration camp. Reportedly, Lambert attempted to remain an uninvolved expert devoted solely to his work and not interested in the conditions which surrounded it. According to one survivor, Jankiel Wiernik, Lambert avoided looking at dead bodies and treated his Jewish work crew in a professional manner. “Unterscharführer Herman [sic] was humane and likeable. He understood us and was considerate of us. When he first entered Camp II and saw the piles [of bodies] that had been suffocated by the gas, he was stunned. He turned pale and a frightened look of suffering fell over his face. He quickly took me from the place so as not to see what was going on. With regard to us, the workers, he treated us very well. Frequently he would bring us food on the side from the German kitchen. In his eyes one could see his good-heartedness... but he feared his friends. All his deeds and movements expressed his gentle soul". After Operation Reinhard, Lambert was posted to Trieste, where he continued to participate in genocide by installing cremation facilities at the concentration camp Risiera di San Sabba. After the war, Lambert was arrested on 28 March 1962. At the First Treblinka Trial in 1965, Lambert was tried for the first time and sentenced to four years imprisonment for aiding and abetting the murder of at least 300,000 people. Having already served this time, he was allowed to live as a free man. At the Sobibor Trial in 1966, Lambert was acquitted. At the trials Lambert denied involvement in the killing operation and claimed that he merely suspected that the buildings would be used for killing. At the age of 67 on 15 October 1976 Erwin Lambert died. SS-Obersturmführer (First Lieutenant) Irmfried Eberl was an Austrian Nazi who helped to establish, and was the first commandant of, the Treblinka extermination camp, where he worked from July 11, 1942 until his dismissal on August 26, 1942. As a psychiatrist, Eberl was the only physician to command an extermination camp. In January 1948, he was arrested. Before his trial could begin, he hanged himself. He was 38 years old. When the T-4 Euthanasia Program commenced, Eberl was a willing participant. On February 1, 1940, at just 29 years old, Eberl became the medical director of the killing facility at Brandenburg. In the fall of 1941 he assumed the same position at Bernburg Euthanasia Centre. Despite not being formally ordered to take part, psychiatrists such as Eberl were at the center of every stage of justifying, planning and carrying out the mass murder of those with mental disorders, and constituted the connection to the later annihilation of Jews and other "undesirables" in the Holocaust. When public outcry against Action T-4 forced its abandonment in Germany, Eberl found himself out of work. This did not last long, as the Nazi leadership made the decision to use the Action T-4 personnel to murder much larger numbers of people in Poland, using variations of the methods used in the T-4 killings. Eberl was first transferred to Chełmno extermination camp for a brief stint. On July 11, 1942, Eberl was transferred to command of Treblinka as part of Operation Reinhard. But Eberl's poor management of the camp soon proved to be disastrous.According to SS-Unterscharführer Hans Hingst: Dr. Eberl's ambition was to reach the highest possible numbers and exceed all the other camps. So many transports arrived that the disembarkation and gassing of the people could no longer be handled. “I drove there, with an SS driver....We could smell it kilometers away. The road ran alongside the railway tracks. As we got nearer Treblinka but still perhaps fifteen, twenty minutes' drive away, we began to see corpses next to the rails, first just two or three, then more and as we drove into what was Treblinka station, there were hundreds of them – just lying there – they'd obviously been there for days, in the heat. In the station was a train full of Jews, some dead, some still alive – it looked as if it had been there for days. When I entered the camp and got out of the car on the square I stepped knee-deep into money; I didn't know which way to turn, where to go. I waded in notes, currency, precious stones, jewelry, clothes... The smell was indescribable; the hundreds, no, the thousands of bodies everywhere, decomposing, putrefying. Across the square in the woods, just a few hundred yards away on the other side of the barbed-wire fence and all around the perimeter of the camp, there were tents and open fires with groups of Ukrainian guards and girls – whores from Warsaw I found out later – weaving, drunk, dancing, singing, playing music – Dr Eberl, the Kommandant showed me around the camp, there was shooting everywhere ... ”Eberl was sent back to Bernburg Euthanasia Centre for a short spell afterwards. In 1944 he joined the Wehrmacht for the duration of the war. After the war, Eberl found himself a widower following his second wife's death, and continued to practise medicine in Blaubeuren until he was arrested in January 1948, and hanged himself the following month to avoid a trial. Unlike the losses of the DESt new operations in Mauthausen and Buchenwald the enterprise at Flossenburg posted modest gains from the beginning. Although this may have been created by a very generous managed balance sheet of their accounting method, for the SS Economic Administration the quarry was a profitable and a promising object. Therefore, they invested more in the infrastructure within the camp. At the same time the initially sceptical SS-Chief Administrator Pohl ordered in April 1939 increasing the occupancy strength of the KZ by the end of July to 3000 prisoners and four squadrons of SS guards. He instructed: "This date must be adhered to, as to achieve a full occupancy by this time". [There was a good reason for this order, as we will see later,sic]. Both in the camp and in the quarries the construction of additional buildings was begun. Using prison labour they erected on the premises of the DESt, a blacksmith, a carpenter, a machine shop, garages and several other workshops. in addition a community hall (Gefolgschaftshalle) was built. In the SS area and in the prison camp some temporary functional buildings were converted into permanent facilities or newly built. 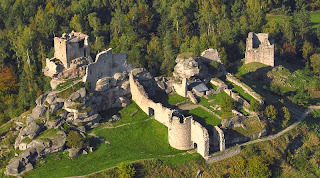 Thus far, the prisoners' kitchen housed in a wooden hut was replaced by a massive stone building. The new prisoner kitchen with the laundry under construction since June 1939 was now bordering the parade ground. In the basement of the laundry there was the 'prisoners bath' with adjoining rooms for disinfection of clothing. The prisoners’ bathroom in the basement of the laundry (photograph 4th May 1945). On orders of 24 March by Eicke, who marked this as 'Urgent', began the construction in April, of a 112 meter long building on the southern edge, a massive Detention Building, which, however, was only completed in March 1940. The infirmary was permanently established in the same year in a wooden building. Also SS administrative and residential areas were extended into some functional [utility] buildings. A schedule of work performed by prisoners at the concentration camp as from 1 July 1939 broken down in detail, gives an accurate picture of the number of work details and their assignments. Of the 1509 total inmates, 646 prisoners were employed in the quarry, another 863 engaged in individual construction projects to improve or extend the camp. The main applications here, were during the construction of the SS settlement and the camp's workshops, as well as in the four 'macrolevellings', (Planierungen) with the expanding camp area due to the removal of granite from the quarry, inmates levelled and extended further into southern, northern and eastern directions to gain badly needed building sites. On January 20, 1939 the first commandant of the camp, Jacob Weiseborn died unexpectedly. About the circumstances of his death different rumours were circulating. [Jakob Weiseborn turned up dead in his apartment under mysterious circumstances, spawning rumours that he had committed suicide to avoid scandal, sic] Among the prisoners it was said that he,(Weiseborn) had taken his own life, as it had been proven that during his tenure at Buchenwald he was involved in embezzlements. A suicide is however not recorded in any of the official death reports. He was succeeded by Karl Künstler, who had previously served with the Totenkopfverbände (SS-Scull Head Unit) in Dachau. The leader of theTotenkopfverbände, Theodor Eicke, considered him unreliable and alcohol dependent. However, after Weiseborn's death, Eicke gave SS-Sturmbannführer Karl Künstler one last chance to prove himself, by appointing him as the new commander of the concentration camp Flossenburg. Among the Administration Staff there, since May 1938 was the Protective Custody Camp Leader (Schutzhaftlagerführer) Hans Aumeier whose performance against prisoners under Karl Künstler made changes and clearly radicalised the internal structure of the camp, only these two were directly responsible for the conditions that followed. The situation in Flossenburg for the prisoners deteriorated significantly. Actually, the camp would have been able in July 1939 to accommodate 3,000 inmates, but the construction continued to be sluggish. Although more transports of prisoners arrived in the spring, the reduction through deaths, individual releases and departures to other camps made very little difference, yet the number of 2,000 prisoners never exceeded its occupancy rate until September 1939. With its maximum capacity, however, the camp had already substantially outnumbered what they could actually absorb. In the protective custody area at this time only eight accommodation barracks with a planned capacity of 224 inmates per barrack was available. In autumn, the prisoner strength and thus the occupancy of the camp continued to increase. On 27 September, a transport arrived with nearly 1000 prisoners from Dachau concentration camp. The Dachau camp was almost completely cleared after the invasion of Poland for half a year, to make room for the reorganization and training of an SS division. [They used the KZ barracks and installations which were in fact built to military standards as at that time, sic] The incoming prisoners were housed on a temporary basis in concentration camps like Mauthausen, Buchenwald and Flossenburg and later returned. The 'Dachau' prisoners wore mostly the red triangle of political prisoners. They were housed in separate barracks, received not the Flossenburg camp numbers, but were included in the daily work details. With them there was in November 1939 a total of 2242 able prisoners fit for work. Of these 1297 had been employed in the two quarries of the DESt, and 945 were engaged on the building construction sites, in the supply or sewage treatment facilities such as it existed, in the effects room and kitchen. Even for long term 'Dachau' arrivals in the Flossenburg it was a shocking experience. In almost all their memories of their time in Flossenburg the murderous work in the quarry, the extreme cold, the totally inadequate nutrition and the dominance of the 'green' prisoner functionaries stands out as the worst time during their entire incarceration. The returning Dachau prisoners were replaced by two transports with prisoners from the Sachsenhausen concentration camp, so there were in Flossenburg in April 1940 approximately 2200-25000 prisoners. 1122 were employed to expand the facilities of the camp and 902 at the German Earth and Stone Works (DESt). Compared to the period of November 1939, the ratio of employment had now reversed. Following the lifting of the quarantine of the camp, the SS forced the development of the required infrastructure very vigorously moving forward under stringent conditions. 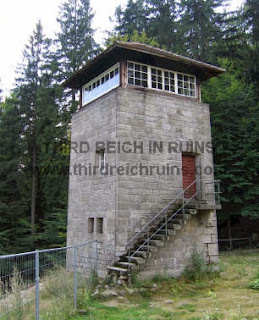 The construction project included primarily the completion and commissioning of the camp's own Crematorium, the establishment of six massive watchtowers of granite and perfecting the barriers with a double row, electric fence around the protective custody camp. Besides that they also started the construction of a gate for the surveillance headquarters building, at the entrance from the prisoner-area. With the completion of these buildings, the first stage of the KZ Flossenburg should have been be completed. However, in late summer of 1940, a new overall plan for the camp, which meant war-related activities and also the associated decline in available building material, another strategy was developed. In the case of the composition of the inmate population, only crude statements can be obtained for 1940 and 1941. The highest (prisoner) number recorded and allocated in 1940 was 2697. More than 400 other had passed through the camp in the same year, but they've been given numbers of previous prisoners. At least 240 of these had died during 1940 in Flossenburg. With the arrival of two transports in April from Sachsenhausen, the proportion of political prisoners had increased significantly in the camp. Although the numerical and percentage of Preventive Detainees (Vorbeugehäftlinge) to the inmate population of the camp through deaths, transfers to other camps and releases from detention had been steadily decreasing since the year 1939, but the political new comers, did not succeed to break the dominance of the "Greens" as prison-functionaries. As in other camps, the composition of the prisoners from 1940 changed fundamentally and permanently. From the 'Protectorate of Bohemia Moravia' the first Czech prisoner were transferred directly to Flossenburg from Stapo (Gestapo) points Brno(Brünn) and Prague. In April few Polish prisoners arrived, also the first eleven Jewish prisoners were noted in the camp registries on the 24th May. Almost all had been entered the additional expression as 'Political'. Although the German prisoners in 1940 still constituted the majority in the camp, the inmate community gradually became more and more internationalized. The sophisticated hierarchy of the SS, the allocation of the coloured Triangle and with that the system of power which derived from it, favouring certain groups of prisoners, was now staggered according to national and racial criteria. From the second half of 1941, the use of concentration camp prisoners working for the SS leadership gained a new significance. Himmler, Pohl and the head in autumn appointed Civil Engineer of the SS, Hans Kammler developed jointly considerations for the use of concentration camp prisoners who should now no longer work exclusively in the SS-owned stone factory plants or in the concentration camp workshops. The new emphasis were initially not war economic needs, to increase their position much more was on the intended evaluation of German settlement areas as part of the 'General Plan East' and the needed labour productivity of the quarries and the quality of the required building stone, which began in winter of 1941 on the part of DESt . It went so far as to introduce even an instructional program to train inmates as Stone Masons and other required skills, which had been arranged by Himmler on December 5. 1941 and started with the training of 179 Flossenburger prisoners to stonemasons and would increase to a total 600-700 by 1942. This led to efforts in the increase of production in the DESt plant to a significant profit in sales of around 640,000 RM in 1941 to approximately 966.800 RM in 1942. However, this increase was not due to the optimization of prison labour or by improving prison conditions. Rather, the proportion of less valuable road material in the total production through greater use of more and more prisoners which had risen considerably. The sheer amount of material as well as the rising price of natural stones made ​​for the profit of the company and not the quality of the work they produced in granite stones. The increased labour demand and the changing trends in the internal structure of the SS administration within concentration camps affected inmates rather drastically. Himmler sought to expand the labour input specifically to the introduction of new groups of prisoners to concentration camps, such as prisoners from occupied countries and Soviet POW's. This was accompanied at the same time, with the systematic selection of incapacitated prisoners and the murder through 'Action 14f13', which also began and was held in Flossenburger in spring 1942. The inmate population was increasingly differentiated by nationality and based by the SS on racial principles of 'prison administration'. While the German prisoners, and of those with the green triangle stood at the top, engaged, onto a forced community in the camp, keeping central function within it's administration, thus the elimination pressure increased significantly on the Polish, and Jewish prisoners. THE EXECUTION OF POLISH PRISONERS. After 1940, the first Czech and Poles were deported to Flossenburg, it came increasingly to admissions of Polish prisoners with the beginning of 1941. On 23 January 1941, a large transport of nearly 600 political prisoners arrived from Auschwitz at Flossenburg. Until the arrival of the first Soviet prisoners the Poles were at the lowest level of the camp hierarchy. They were rushed to the quarry commands specificly to perish and systematically disadvantaged in the food distribution and functions as compared to German prisoners, so that their health deteriorated quickly. Immediately after their arrival in late January at the same time began the deliberate extermination of that group. Shortly before his 18th birthday the worker Stanislaw Rydel from Huta Dobrowa was shot on February 6, 1941 on a 'command of the Reichsführer SS' (Auf Befehl des Reichsführers SS) in KZ Flossenburg. The murder of the young Pole was the beginning of a number of executions, which continued until 8 September and 184 detainees of this transport were killed. The selection for execution were taken after the evening roll call, their numbers were called out in the courtyard of the detention centre who was, at that time Hans Aumeier, leader of the Schutzhaftlager ( protective custody camp), the death sentence was read out by him without any pre-amble or reason and the condemned taken away . After a night in the cells of arrest they were shot in the early hours by a firing squad on the shooting range of the SS, which was located in a valley below the prison camp in the immediate vicinity of the crematorium. Formal orders for the massacre for a series of execution were given by command of the RSHA, which had also arrived with the prisoners in January and probably arose for reason of retaliation. On July 2nd, 40 Polish prisoners and another 20 were shot simultaneously, liquidated on the 8th September, with this series of execution, it came to an abrupt end with the deaths of the transport, but still it continued in Flossenburg, until the end of 1941, by that time about two-thirds of the nearly 600 Poles that arrived in January were no longer alive. The extent between the completion of the shootings of Polish prisoners and the start of mass executions of Soviet prisoners of war on 3rd September 1941, if there was a connection, it is difficult to assess, however, the time proximity of the two events is significant. In addition, the infrastructure of the camp and the number of daily tasks to cremate corpses seems to have grown and could not sufficiently cope. On the 2nd of October, the head of the crematorium reminded the Administration of the urgent need of a second furnace in order to to conserve the existing oven to continue and maintain the proper operation of the camp's cremation. 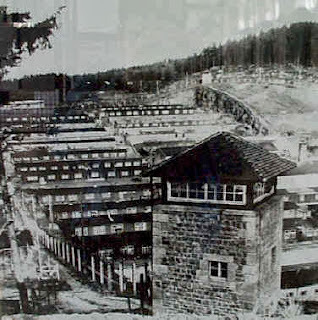 Until the formation of the concentration camp in May 1938 Flossenbürg was a small community with about 1,200 inhabitants in the Eastern Upper Palatinate Forest (Oberpfälzer Wald) on the border of the Czechoslovak Republic. The entire Eastern Bavarian area was in the twenties considered as backward and underdeveloped. A harsh climate, poor soil conditions, lack of raw material, generally poor transport links had made this into a 'natural poverty area' and had brought them the unflattering by-name as the 'Bavarian Siberia' long before the First World War. 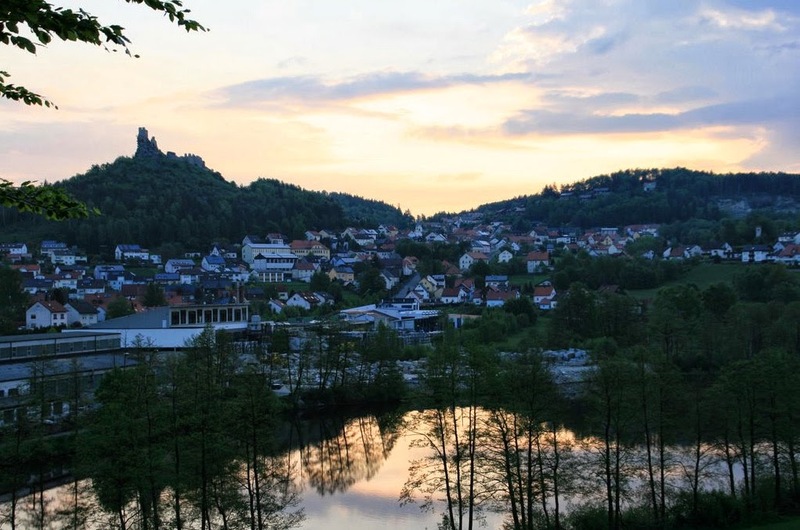 Flossenbürg as a poverty area located on the very edge of it, was economically, socio-structurally, politically and religiously a special case in this largely agrarian small border region. Thanks to the rich granite quarries numerous quarries were opened in Flossenbürg since the 19th century, which provided, despite the high migration losses of the working population in Eastern Bavaria, an influx of workers from neighbouring Bohemia. 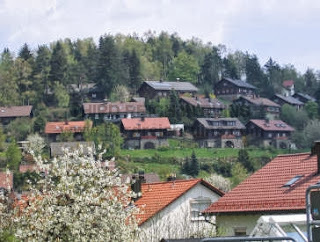 During 1925 there lived in Flossenbürg about 1074 inhabitants, two-thirds Catholic and one-third of Protestant religion. Apart from that the agricultural community maintained a social-democratic oriented outlook, but workers were still strongly divided in denominational groups. The work ethic of stone masons, with all the connotations linked to poor living conditions, became culturally a very sorry picture of a place. 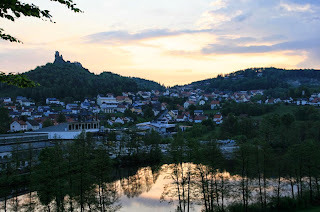 Although Flossenbürg possessed with its medieval castle ruins an attraction for a tourist infrastructure, this village, as opposed to other places in the central mountain regions took a timidly approach and did very little, in fact nothing at all to exploit a possible tourist potential. With the end of the First World War, the political geography of Eastern Bavaria changed fundamentally. Until 1918/19, the Bavarian-Bohemian border marked 'a barely perceptible geographical concept'. After the Treaty of Versailles and the creation of the First Czechoslovak Republic, a century-long existing natural stone industry at Flossenbürg with the new political importance of the border and particularly the economic crisis in the late twenties the area was slowly but drastically affected. 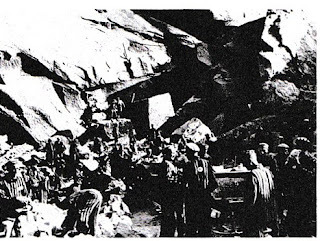 With the onset after the National Socialist (Nazi) takeover the labour market policies promoting the natural stone industry had hitherto a moderate acceptance, however, the National Socialists rapid rise to power in 1933 changed Flossenbürg and its environments. This building located on top of the hill overlooking the quarry was the administration building of the SS DESt company. With the support of small settlement constructions (Siedlungen) and large public buildings under the National Socialist autarky and architecture planning, the medium-sized granite works took an unexpected upturn, which soon brought them to the brink of their capacity. One of the main consumers of the local granite were the sites of the Reich's Party Rally Grounds (Reichsparteitagsgelände) at Nuremberg. The Flossenburg quarries had already full employment, as from 1934 onwards, at the same time new settlements were designed and built for the required civilian workforce and their families. Not only in Flossenburg but also on a Reich level the labour shortage worsened from 1936/37 in the construction industry, so that problems were foreseen in the realization of the extensive military and urban construction programs. The Reichs-Leader of the SS, Heinrich Himmler, in agreement with Hitler and the 'General Construction Inspector for the Reich Capital' (GBI), Albert Speer, sanctioned the use of concentration camp prisoners in the production and supply of building material. A direct consequence was the establishment of new camps, including the concentration camp at Flossenburg. In April 1938, the SS-owned operation 'German Earth and Stone Works Ltd.' (DESt) was founded with the aim to organize and provide building materials through newly formed concentration camps. On May 1st 1938 came the first members of SS guards to Flossenburg. These had been sent from several other SS units such as staff drivers from Frankenberg near Chemnitz who were set on a 'train' in the direction of Flossenburg. But the majority of SS men recruited, probably came from the first Totenkopfstandarte (Death Head Unit) 'Oberbayern', the guards of the concentration camp at Dachau. As the first Commandant in early May was Jacob Weiseborn transferred to the northern Oberpfalz. Weiseborn had served in various concentration camps since 1934 and had worked before his promotion to commander of the concentration camp Flossenburg as Deputy and General Protective Custody Camp Leader as well as temporary adjutant to the commandant of Karl Koch at Buchenwald. Two days after the arrival of the SS members on May 3, the first transport of 100 prisoners arrived from Dachau at Flossenburg. The task of these prisoners was the structural development of the camp. They had to build living quarters for prisoners and storage barracks, erect the first administration building as well as security systems. All the barracks were delivered as pre-fabricated components from Kamper & Seeberg and provided to the inmates to put them into place with the assistance of local construction workers. Prisoners had to live initially in unsafe temporarily shelters exposed to all weather conditions for a few weeks, until the first barrack, Block 1, was completed on May 28, 1938. But the construction of the camp was not proceeding in the planned pace, as deliveries of building materials were hampered and slow in arriving. 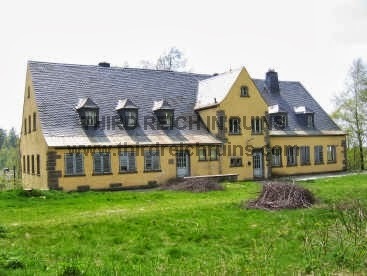 SS-Hauptsturmführer Weiseborn complained already on May 10th to the Administrative Office of the SS, that the SS barracks needed further improvements urgently. Likewise, he requested, that immediate facilities for an SS doctor has to be provided, in addition, a supply depot and garages are in urgent need. 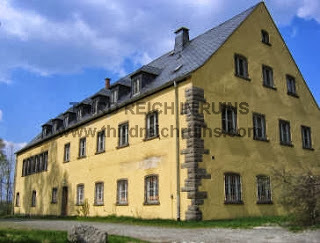 Flossenbürg headquarters building, in the SS camp area. Today it houses a film room with an interpretive video. The circumstances of the first few months of the existence of Flossenbürg and the short time span between the site selection and arrival of the first prisoners suggests that the decision to set up the camp had been made in great haste. No fundamental decision had yet been taken as to the status and the planned state of expansion for this camp. Although at the end of May, 200 prisoners worked on the physical infrastructure and from July 1938 away from the camp at the southern slope, permanent houses were built for staff members. 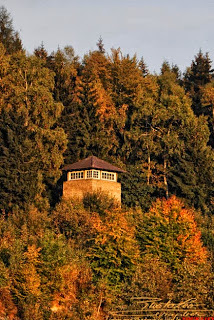 The Chief of the SS-Main Office (SS-Hauptamt) Oswald Pohl was prompted to ask Theodor Eicke on September 7, 1938, if the camp at Flossenburg should be continued and used as a 'hiking camp'(Wanderlager), or whether the camp's only aim was to keep the required prisoners for the quarry and the commandant plus the necessary guards (Bewachmannschaft), or whether it was intended to build a strong camp with its own Skull Head Unit (Totenkopfverband) and the associated training camp. He made no bones about finishing off that he thought the yield of the quarry was very limited, estimated at not more than 5-10 years, and after completion of the constructions, saw no way for any use of inmates on a larger scale. The first SS-houses for their leaders and families were ready for occupancy on the Plattenberg mountain in December of that year. The establishment of the SS settlement had led to a violent dispute in the summer between Pohl and Eicke. Pohl told Eicke in a sharp letter of 31 August 1938 to discontinue the construction of the SS settlement immediately, since the relevant area was only leased from the municipality and lie too close to the camp. 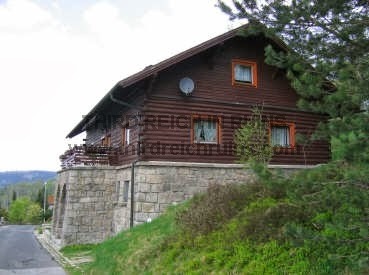 Eicke responded immediately, and he used Pohl's equally strong language in his reply: "I demand that the apartments for the supervisory staff who are in constant need, be in the immediate vicinity of the camp. Moreover, I have concocted this scheme myself which gave me stomach spasm.." According to this view of Eicke's, the structure of 15 houses of the SS settlement was proceeded with in undiminished pace.
' Some of the camp officials and higher ranking SS-personal were housed in a specially constructed housing area on the hill side near the camp. These period log houses with stone foundations are still in use today'. Nevertheless the entire endeavour was characterized by the scarcity of space since the establishment of the camp, a condition that, despite continuous expansion throughout the seven years of its existence would not change. Flossenbürg remained structurally in a period of continuing provisions. 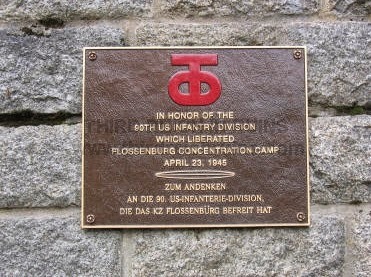 The fact that the concentration camp Flossenburg was built in the midst of a phase of restructuring of the German police force, and the extension in persecution and the restructuring of the concentration camp system, was clearly reflected during the years 1938/39, it also showed up in the increase of prisoner occupancy. These events can almost be completely reconstructed for 1938. The first prisoner transport from the Dachau concentration camp came with 100 inmates to Flossenburg on May 3, and ​​ further transfers were made on May 9, so that at the end of May there were 200 prisoners in the camp. These were almost invariably prisoners identified with green triangles which came under the category "BV" (professional criminals) or "VH" (preventive detainees). They included primarily men who were convicted of various criminal offences or after serving a prison sentence under the "Decree for the Prevention of Crime Reduction through the Police" of 14 December 1937, which extended the protective custody decree dated January 25, 1938 with the result of an additional holding period in a concentration camp. On July 1, the transfer of another 127 prisoners from Dachau took place, bringing the total of prisoners to 400 prisoners nearly two months after the camp was opened. Until the end of July only prisoner from Dachau had been transferred to Flossenburg, and then on 8 August, the first transport with 60 people arrived from Buchenwald, with another expected to follow in November. Between the 17 and 26 November, in two separate shipments from Sachsenhausen with a total of 602 inmates arrived. In the first eighteen months of its existence Flossenburg was not directly an admission camp for first time offenders. All Flossenburger prisoners had been previously been interned in other concentration camps. Even in the wake of the pogroms of November from 9/10 November 1938 onwards, arrests of Jewish citizens of northern Bavaria were not transported to Flossenburg but went to Dachau. Among the deportees to Flossenburg was a significant proportion of violent criminals who were deported from the three mentioned camps, and specifically selected for Flossenburg to act there in a working commando . Of the total of 1505 men, which can be traced as prisoners of the concentration camp for the year 1938, the overwhelming majority did have the green triangle of preventive detainees (Vorbeugehäftlinge). There were only three prisoners who would come under the category "asocial" and two "Bible Students" (Bibelforscher), plus nine homosexuals and few political prisoners. In later years communists arrived, but for entirely other reasons. There are no recollections of former prisoners who can give an insight into the perceived life and prison conditions, or on labour inputs in Flossenburg for the first year. 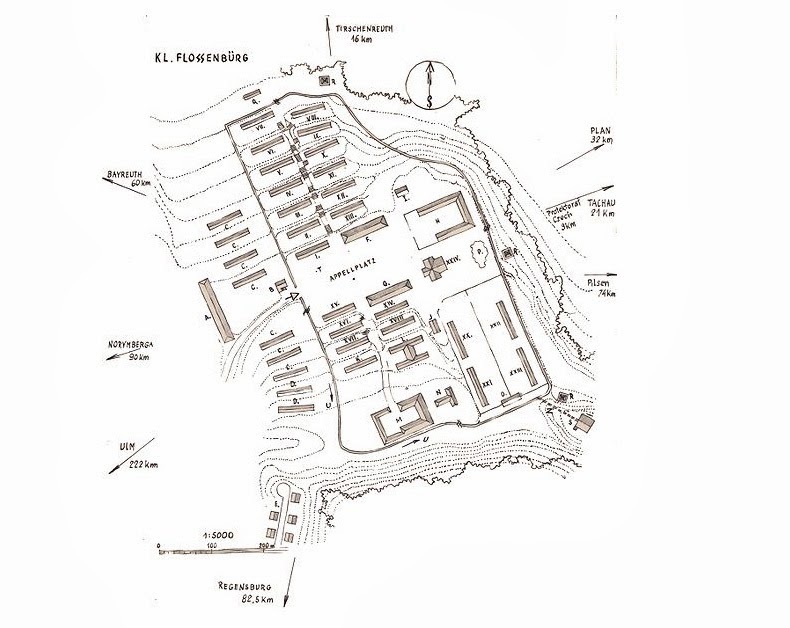 Based on the existing construction and management files, but mainly on the basis of later trial testimonies of former prisoners a picture can be drawn, which negatively contrasted Flossenburg in this phase of development mainly due to the extreme climatic changes, topographical conditions and the severity of the work compared with other camps. 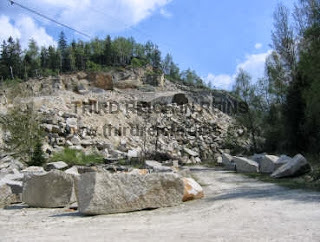 In the quarry, the prisoners worked together with civilian workers of stone masons from Flossenburg , where the prisoners were forced to do the hardest and most dangerous physical work. 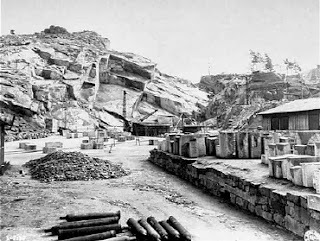 They had to clear away unfinished granite blocks from the blasting area to drag them to the loading trolleys and push them to the civilian stonemasons, but firstly to open up the entire quarry site with simple rotary hammers and pickaxes. All qualified work, such as the precise forming of building stones, was done by qualified civilian masons, the prisoners were only used for severe physical auxiliary functions. Although the camp had been built against the background of a new economic focus on the part of the SS, the SS considered this type of work primarily as an instrument of harassment and 'education'. 'Education' within the meaning of the camp SS was basically aimed at the destruction of the individual personality. Even the commandos that were used to build up the initial complex had to suffer under the same conditions. 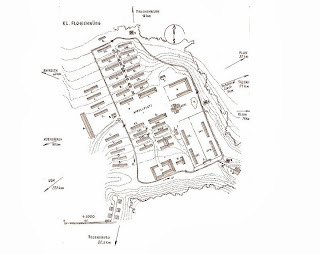 Since the camp site while lying on a plateau, and limited to the north and south sides by steep rock walls, the area to place the barracks in terraces had to be literally shaped and carved out of the mountain. The incidence of injuries in this type work was so high that in 1938 a prisoner barrack had to be converted into an Emergency Revier(Hospital) to cope with injured inmates. Not even three weeks after the arrival of prisoners at the concentration camp the first death was officially recorded. Born in Tauberfeld near Eichstätt the baker Joseph Herzner died on 21 May 1938 and reported to the registry office (Standesamt) Flossenburg two days later by the camp physician Dr. Walter Weyand without giving the cause of death. Since the camp still had no means at that stage for the cremation of dead bodies, the deceased was taken to the nearest civilian crematorium in Selb and was cremated on May 24. The entry in the city cremation register indicates the cause of death as 'poor circulation' (Kreislaufschwäche). The urn was finally buried on November 18 in an anonymous mass grave at the municipal cemetery in Selb. This practice of burial was repeated until the completion of the camp's own crematorium in May 1940, the certification of dead concentration camp inmates was continued as far as September 1942, at the registry office of the municipality of Flossenburg. From the accurate and unbroken records of both registries show that in 1938 a total of twelve prisoners died in the concentration camp. Until December 31, 1938 at least 1505 prisoners had passed through it. At year's end of 1938 a total of 1475 people were imprisoned in the camp, which was the last and highest prison number assigned for the year. If this is claimed to be correct, it can be assumed that thirty detainees had perished, not twelve! None of the period barracks remain at the Flossenbürg site, but some hard buildings such as the prisoners laundry and kitchen have been preserved, as well as three of the original guard towers. 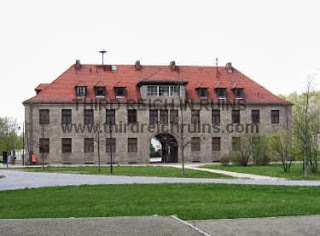 It is well known that Dachau is located just North of Munich, Germany. I lived in the old SS-Hospital Haus.No 52B for 10 years. I did publish my German ID but had to delete certain entries due to Identity Theft. I am now living in New Zealand since 1956 my country of adoption, still married at the age of 85 with three great grand children,have three sons and a number of relations in America, Australia, Switzerland and Germany. Otherwise of reasonable heath, although slow in my movements. My hobbies: Travelling to other countries meeting and trying to understand other cultures, supporting a school of street kids in India for the last 25 years.